[dropcap color=”orange” background=”green” style=”rounded” size=”small”]E[/dropcap]ditors Note: This post has been in our backlog for several months. We apologise for the delay in sharing this part of our journey. Last year (28 August 2014) Megan talked about taking the first steps towards a simple, sustainable and meaningful life and we hope you have taken some of our ideas and been inspired. This week I’ll be talking to you about decluttering your house and especially your wardrobe, which I have recently undertaken. I’m fully aware not that many people enjoy the idea of cleaning out their wardrobe and I can tell you honestly I have never been the biggest fan myself. However when you can no longer easily fit anything back into your wardrobe without waging a battle with your clothes and are contemplating buying more storage space I think everyone would say it’s probably time. Now my partner and myself had decided to clean out and simplify our wardrobe a little while ago and being much better than me – he had more than finished doing his stuff before I even started mine. But I make myself feel better by saying that I helped him do his side first – even if my help was minimal. I find if you are ever dragging your feet to do anything – like I was – I find some music helps you get into the groove- so I suggest putting on anything that makes you want to dance! Two of my favourites at the moment are; “Brave” by Sara Bareilles and “I’m Ready” by AJR and while I know that many people would think my choices are a little lame I can’t help but want to dance and sing along to them like an idiot. But enough about avoiding. As Megan said last week through decluttering your physical environment you’ll feel calmer, more organised and have made your life simpler. So after convincing myself I had a huge task ahead of me and should wait for a free afternoon or morning to begin – thus putting off staring for longer – I randomly walked into my wardrobe one evening and just started. And while I thought I would need come back when I had more time, I said to myself why not move out some of the items of clothing I knew I didn’t want to keep while I had a few minutes. Half an hour later I had stormed through more than half my wardrobe and had a significant pile of empty coat hangers and a large pile of clothing that I no longer needed. I decided to start at one side of my wardrobe and work my way along as I went, meaning I could stop and come back at any stage. However, many people think taking everything out onto your bed is a better way to start. This way you have to go through everything before you put it back into your wardrobe and nothing can be missed or left to another day. But it doesn’t really matter what way you start just that you’ve started, find a way that works for you. If its everything out at once or different sections at a time. For us, once we had separated into keeping or not keeping we then further separated into another two different piles for the clothes we no longer needed. One for the bin and one to donate and recycle. Anything that was not really recyclable, broken or about to fall apart ended up in the bin pile and anything that was still good quality but either didn’t fit or was something that would be rarely or never worn again went into the recycling pile. I think it is also important at this stage to mention that you don’t necessarily need to give away your unwanted clothes. They could be used for other things round the house, you could take them to a clothes swap and potentially pick up some new items yourself, or see if any of your friends or family members would appreciate them – this is especially true for growing children. I remember many times getting hand-me-downs from my cousins that were a few years older than me and it is a good way to save money, recycle and re-use clothes. At the end of our wardrobe spring clean-up we ended up with four full garbage bags of clothes to donate to our local Salvos store. This is a reasonably large amount but I decided to be brutal with my selection, getting rid of anything that I couldn’t remember wearing recently. You don’t have to do this. Instead, if you are unsure about something pack it away for 3-6 months and see if you need it – if you do use it keep, it if not it might be time to find it a new home. Another popular way of sorting out what you use and not use is to put all of your coat hangers around backwards and as you use what is hanging on them put them back in your wardrobe the other way round. In six months or so you will find out what you no longer wear and once again it might be time to let some else use and appreciate it. Another good suggestion to try out is Project 333. This is essentially the idea that you have 33 items of clothing for 3 months of the year and is all about keeping things simple. Even if you don’t give it a full go it’s definitely worth a read. 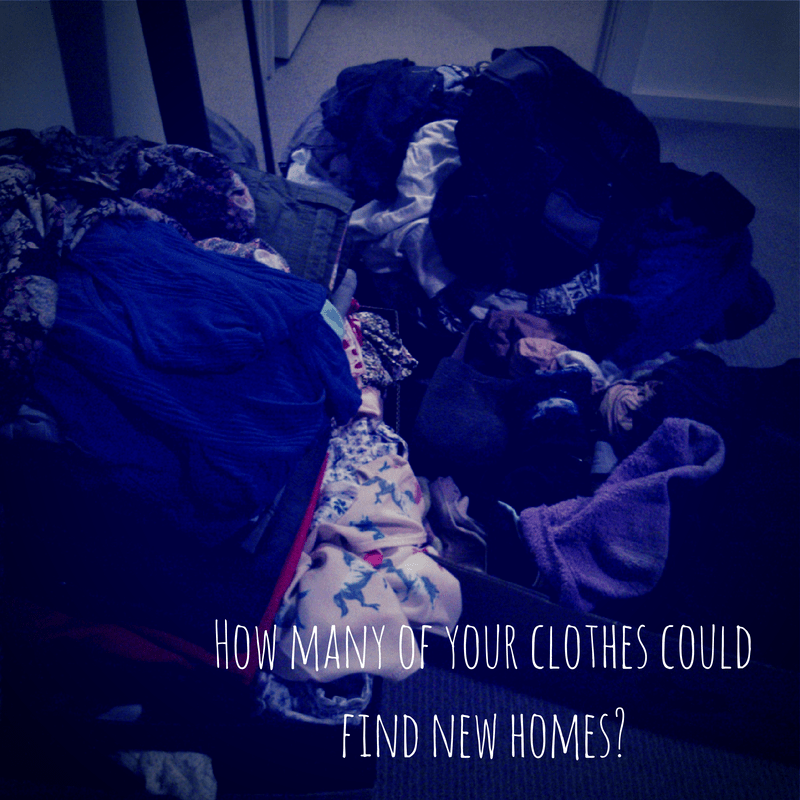 Decluttering your wardrobe is a great place to start and I am very glad I have finally finished mine, it is very nice to have clothes in your wardrobe that you want and like. Donating clothes also makes you feel like you haven’t wasted anything and your once loved items of clothes can find a new home and help someone else out. I am now going to move onto other areas of my house and start to declutter them also. Starting with my bathroom cupboard, but not just decluttering the cupboard I want to simplify and cut back on the number of products and chemicals I use on my face and skin and I look forward to sharing it with you all on this journey. 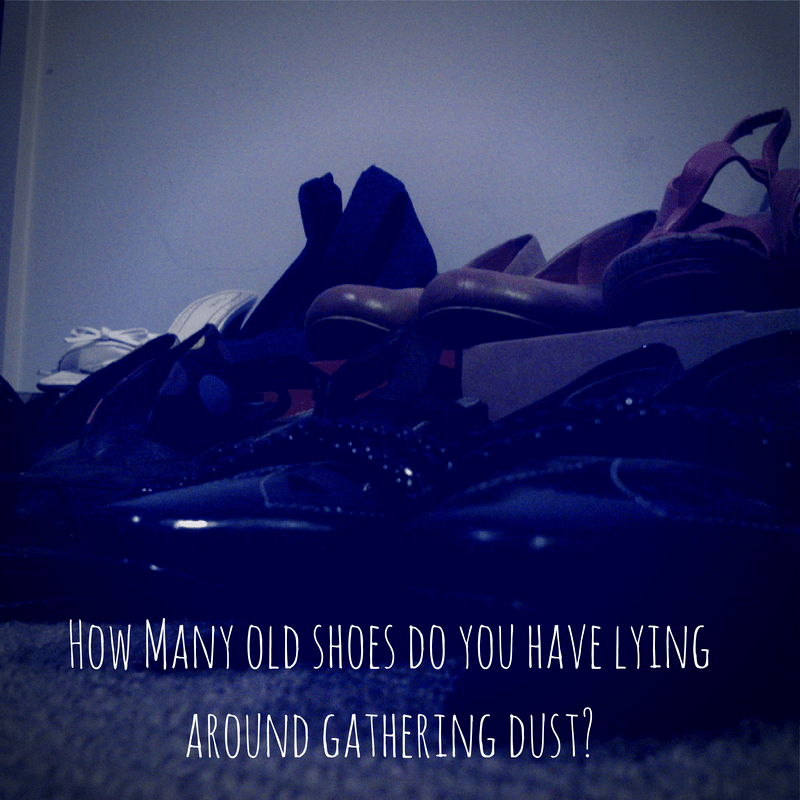 Have you decluttered your wardrobe or any other rooms in your house? Let us know how you went and if there is anything you suggest we try.